WE BELIEVE OUR INCREASINGLY AUTOMATED AND MECHANIZED WORLD REQUIRES FUNDAMENTALLY NEW WAYS OF PRODUCING MOTION. Where others want better magnets or copper inside their motor, we are delivering – and are uniquely qualified to deliver – a motor better suited to this emerging world. Drs. Dan Ludois and Justin Reed founded C-Motive after graduating from the Wisconsin Electric Machines and Power Electronics Consortium (WEMPEC) within the University of Wisconsin. WEMPEC is a world-renowned research group with ties to the most influential players in the power engineering industry. fundraising goals and received numerous awards for their technology, including the WARF Innovation Award for their electrostatic motor patent. The sons of engineers, C-Motive’s founders are instilled with the value of hard work. They’re drawn to creating technologies that improve the operation of heavy equipment and machines rather than focusing on another app for convenience or consumer electronics. “We want to produce technology that matters on a large scale and will endure for decades to come,” says Chief Executive Officer Reed. C-Motive works each day to improve their products to make industry more profitable. “We’d love to bring the industrial boom back,” says Chief Science Officer Ludois. Justin is an entrepreneur at heart, driven to "build something from nothing," and applies his meticulousness to the company’s strategic development, fundraising, evaluating new business opportunities, and forging customer relationships, among many other hats. A graduate of UW-Madison's power research program (WEMPEC), Justin's technical expertise lies in multi-level power converters and electromechanical power conversion. He has authored or co-authored over a dozen technical papers and is an inventor of patented and patent-pending core C-Motive technology. Dan’s background in physics and engineering inspired the C-Motive team to develop the company's core technology. He is an expert in both the theory and application of electromagnetics, electrostatics, and solid state power converters. Also a professor at UW-Madison, Dan spearheads the theoretical development of electrostatic machinery through to the proof of concept stage, while working in close collaboration with the company on projects, government grants, and inventions. He has published over 30 research papers and is an inventor of 2 issued and 6 pending patents. 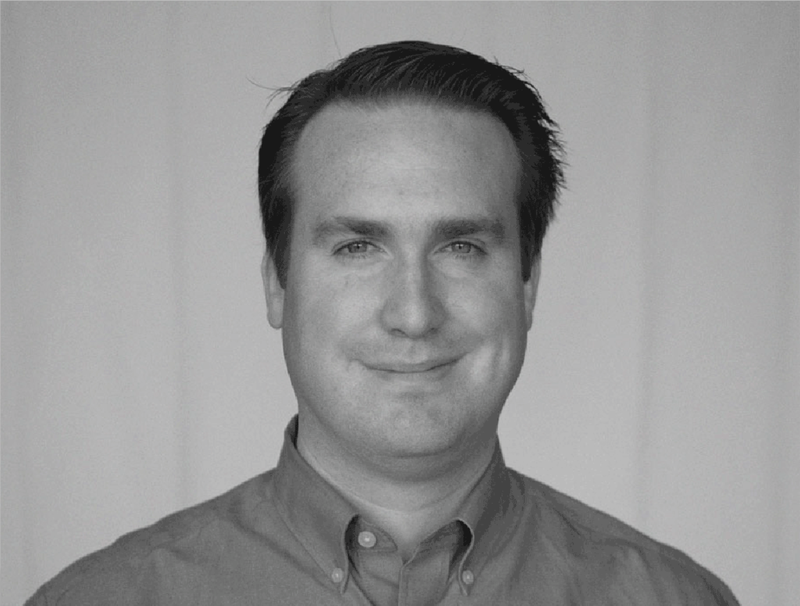 Graham is a seasoned motion control and embedded software engineer with nearly 20 years of industry experience in product design and development with an emphasis on team building, and technical leadership. His career includes positions at Mevion Medical Systems, TomoTherapy, Gammex, and he is the owner of consulting firm Dragonfly Labs. Graham is an expert at navigating and adjusting to the dynamic environment of a startup company. He believes that assembling efficient and collaborative engineering teams are key to any successful product launch, and also that there’s no reason work can’t be fun. Bill is responsible for the design, development and testing of the next generation of electrostatic machines. He has over 15 years of experience as a mechanical engineer in high tech, fast-paced industries, including 9 years as a Senior Mechanical Engineer at Accuray, Inc., 6 years as a Lead Mechanical Engineer at Orbital Technologies Corporation (Orbitec), and he is a founding member of Dragon Fly Motion LLC, a multidisciplinary engineering design and consulting firm. Bill has strong knowledge and experience with the design of complex electro-mechanical devices, requirements development, testing and reporting for compliance with regulatory governing bodies. Serge is responsible for the design, construction and testing of power converters and their controllers. He has over 40 years of broad electrical engineering knowledge and experience with very creative problem-solving skills in both strategic and tactical areas. In his most recent employment Serge was the principal electrical engineer at Marvel MedTech as well as an electrical engineer developer at TomoTherapy Inc. Serge has a B.S. in Electrical Engineering, Information and Measurement Technologies from the Polytechnic University in Kieve. Barb has over 30 years of diverse, proven experience in both the public and private sectors providing executive support and office management for high level executives. Highlights of her career include working at the UW-Madison as both an administrator and as special assistant to the Vice Chancellor, and then developing the early business infrastructure at TomoTherapy Inc. Barb's experience includes employee recruitment, benefits, managing payroll and bookkeeping, legal compliance, compensation development, and board and investor relations through the IPO stage. Barb, who is a very detailed oriented individual, is noted for being able to handle confidential information when working with top executives. Daniel Ludois, Ph.D., Chief Science Officer and Cofounder, is the inventor of the C-Machine and contributes to the technical development of the methods and approaches underpinning C-Motive’s work. Dr. Ludois is a fourth-year Assistant Professor of Electrical Engineering at UW-Madison with a strong research emphasis on electrostatic machinery. In 2014 he was the recipient of a nearly $500,000 grant from the Department of Energy for development of a brushless, permanent magnet-free motor built upon C-Motive’s technology, and in 2012 was awardeda WARF Innovation Award for the core C-Machine patent. Leigh Cagan is the Note Director of C-Motive. Mr. Cagan serves as Chief Technology Commercialization Officer at the Wisconsin Alumni Research Foundation (WARF), with expertise in intellectual property management and licensing. Mr. Cagan previously worked at IT industry icons Hewlett-Packard as Director of Intellectual Property Licensing, and as Manager of Business Development at IBM. Mr. Cagan holds an MBA from the Yale University School of Management. Will Henrickson is an Independent Director of C-Motive. Mr. Henrickson directed technology and product development at three M.I.T. spinoffs and turned around electric motor technology company Kaman Electromagnetics, orchestrating its sale to DRS Technologies in 2003. In 2005 he co-founded and led the highly successful motor and generator engineering and manufacturing company, ePower LLC. In 2008 he led the sale of that business to the world’s largest wind turbine manufacturer, Vestas Wind Systems, where he subsequently directed Electrical Engineering and product development teams in the U.S., Europe, India and China. Paul Reckwerdt is a Director and investor in C-Motive. Mr. Reckwerdt worked for two decades in physics-related product development and research, and until 2009, was the President and Founder of TomoTherapy Incorporated, which sells a system for advanced cancer treatments. As one of the originators and inventors of the TomoTherapy concept, he helped guide the company through five successful rounds of investments and the global launch of the Hi-ART system. Dr. Daniel Klingenberg, Ph.D. is a Professor in the Department of Chemical and Biological Engineering at the University of Wisconsin-Madison. Dan Klingenberg's research group focuses on understanding the behavior of suspensions of various kinds, including those of small particles that can be controlled by external electric fields (electrorheological fluids). Such suspensions can find applications in areas ranging from active damping and energy-efficient torque transfer devices in automobiles to robotic actuators. Dan Olszewski is an observer to C-Motive’s Board of Directors. Mr. Olszewski currently serves as Director of Weinert Center for Entrepreneurship of University of Wisconsin-Madison, having previously served as Chairman and Chief Executive Officer of PNA Holdings where he organically grew Parts Now! LLC from revenues of $26MM to over $400MM. Before joining Parts Now! LLC, Mr. Olszewski was a Consultant at McKinsey and Company and also worked for IBM, the Federal Reserve Board of Governors, and Yasuda Fire and Marine Insurance in Tokyo. Mr. Olszewski holds a Bachelor's degree in Economics and Computer Sciences from UW-Madison and an MBA from Harvard. Dominic Gervasio, Ph.D. is a Professor in the Department of Chemical and Environmental Engineering at the University of Arizona, Tucson. Dr. Gervasio graduated from Case Western Reserve University in 1985 and has over 25 years of experience in academia and industry in electrochemistry involving the making and application of new materials for ion conduction, homogeneous, heterogeneous and electrode catalysis, hydrogen storage and generation, super capacitors, batteries, fuel cells and corrosion..
Richard Schmidt, PE is President and CEO of Medical Engineering Innovations, Incorporated. Mr. Schmidt's experience is very wide-ranging and includes over a decade of high voltage work as an Accelerator Physicist at National Electrostatics. His work has encompassed voltages ranging from single kilovolts to tens of megavolts. Matthew Petrowsky, Ph.D. is a Sr. Scientist of Research and Development at Maxwell Technologies. Dr. Petrowsky is a physical chemist specializing in the transport and electrical properties of liquids. He is a former C-Motive employee who was responsible for early developments and inventions related to C-Machine technology. Dr. Petrowsky received his Ph.D. in 2008 from the University of Oklahoma and continued there with postdoctoral research until 2013. Kent Lorenz serves as a business advisor to C-Motive Technologies. He was the Chairman and CEO of Acieta which provides a wide range of robotically automated solutions and services for the manufacturing industry, and employs more than 140 people in Wisconsin and Iowa. Mr. Lorenz serves on the boards of First Business Bank-Milwaukee and the Wisconsin Technical College System.